GVK MIAL (Mumbai International Airport Pvt. 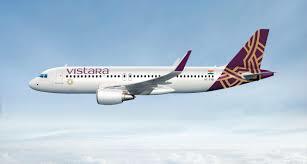 Ltd.) and Vistara today announced the launch of mobile phone boarding pass facility for Vistara’scustomers travelling out of Mumbai’s T2 terminal to New Delhi, Bangalore, Ahmedabad and Goa. The first of its kind initiative by Mumbai Airport, helps provide Vistara’s customers a truly seamless travel experience. The mobile boarding pass facility is also a time-saver for passengers and result in reduction in usage of paper boarding passes. Overall, the mobile phone boarding pass facility will lead to another ‘Experience Simplicity’ feature while travelling through Mumbai Airport by Vistara. Vistara’s customers making use of this facility for their travel from Mumbai T2 will only need to choose ‘Get Mobile boarding pass/ Collect by SMS’ option when checking-in online or on our mobile app. The SMS from Vistara will contain the booking details and the link to access the mobile boarding pass. Customers are encouraged to take a screenshot of the mobile boarding pass, which is readable by the technologically advanced machines installed by Mumbai T2’s domestic departure level. Paper boarding passes are not required however customers would need to carry authorised photo ID as proof of identity.